Your friends and family are an excellent resource when it comes to finding plumbing professionals. Most have had a plumbing emergency and are more than willing to tell others about their experience. 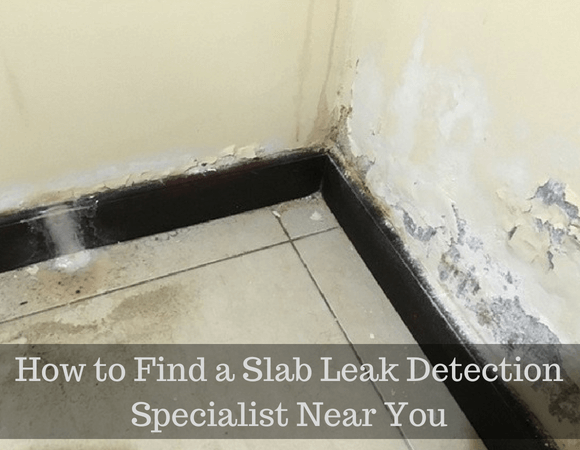 They can provide you with the names and contact information of several slab leak detection experts who are worth contacting, as well as the names of those you may want to avoid. Once you’ve found a slab leak detection professional, search their website. Are they certified by the Better Business Bureau? What services do they offer? Look for any discounts they may be advertising or if they offer a guarantee for their work. Their website will provide you with an abundance of information, all you have to do is look for it. When you call to make an appointment, ask if they have any references that you can check out. Most will be more than happy to share them. They know a good word from a previous customer speaks volumes and many are more than willing to tell about their experience. When you need to hire a plumbing professional who specializes in slab leak detection, do your research well to find a slab leak detection expert who meets your standards. You won’t be disappointed!